Welcome to the April 16 Friday Follow celebration hosted by One 2 Try, Hearts Make Families and Midday Escapades! 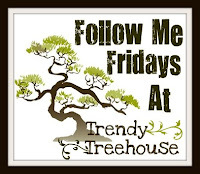 We invite you to join us every Friday to get more blog followers and to follow other interesting blogs. It is all about sharing and having fun. Love to have you stop by my blog! Happy Follow Friday from your newest follower and a fellow military wife! Hi :) Stopping by via Friday Follow. Hope you have a great weekend! Feel free to visit my blog sometime. Visiting and following from Friday Follow. Thanks for joining in. Happy weekend!